Does a blog niche really matter when you have a brand new blog? Figuring out what to write about on your blog is one of the toughest roadblocks new bloggers face when they want to start a blog. This is the one thing that can stop someone from ever trying in the first place. Big bloggers you look up to are telling you over and over again that you must know exactly what to blog about and have 3-5 pillar posts as your first blog posts. As a blogger and professional writer for over 4 years, there is no need to do this in the beginning. Now, I do know that when you start a blog, for it to succeed and thrive, you ultimately need a blog niche and valuable guides or resource content on your website. But, do you need that on day one or even on day 365? Not really. I have proved time and time again, that I can start lifestyle blogs, change audience several times and still make a living as a full-time blogger. That’s because I know what is important when you blog. So, if you are a brand new blogger – like you just started your blog this week – then I encourage you to hang around here and figure out what the heck to blog about! Here’s the thing about your blog niche – it doesn’t matter if you have one in the beginning. Does that mean you shouldn’t have any idea about the topics you should blog about? No. Generally speaking, you need to have an idea or umbrella theme around your blogging ideas. For example, if you’re a stay at home mom with a baby, and you are interested in starting a blog, you can draw from your life and start there. Maybe you have a knack for creating crafts, or you have a knack for organizing and using the KonMari method. Find a few things you enjoy doing in your life and are easy to talk about. Even thinking about the things you talk about with your friends and family can help you figure out what to blog about. As a new blogger, you can definitely blog about these topics. There are probably tens – if not hundreds – of blog topics in those categories. So, try out different blog topics on your new blog and see where they go. A lot of successful bloggers didn’t start with the blog niche you know them now. As well, those successful bloggers are probably on their second or third or fourth blog. As a new blogger, treat your first blog as a learning blog. You can spend up to 6 months to a year really understanding blogging terms, what to do after you start a blog, how to get readers to your blog and how to start an email list. I mean, there are a lot of “blogging lessons” that you will learn over that time. And, I can bet, if you take that time to learn a lot about how to write a blog post, you will start earning an income from your blog. To do that, try writing about different topics. Over the summer, I wrote on new topics like decluttering, home office ideas and other lifestyle topics like time management. I wanted to see if my audience would enjoy that type of content. I learned that those topics aren’t highly popular with my audience, so I went back to my regular topics. Did that hurt my traffic or sales? But, it did help me understand where my focus is for my blog, and that’s why it’s important to write on different topics in the beginning. By blogging on different topics, you will become a better blogger in the long run. It’s okay to try new ideas out! Give it a try. Let’s now switch over to the actual writing. What types of blog posts will help you grow your blog the quickest? We’ll first talk about how to write a blog post, how to organize your blog and then dive deep into blogging topics. Here are six types of blog posts that I know will help you increase website traffic, your email list and income. The six types of blog posts I will mention can be written in any blog niche that has the potential to make money. As well, some of these blog post ideas aren’t for the brand new blogger, but rather, the established blogger that understands how to write a blog post and knows what to blog about. (At the end of this post, I will break down exactly how to write a blog post. So, read over these types of blog posts, and then at the end, you will learn how to put it all together!). But, I wanted to share these blog post types as inspiration and to help you know what will grow your blog the fastest. The best type of blog posts any blog should have is educational content. This is the type of content that is highly searched on Google. 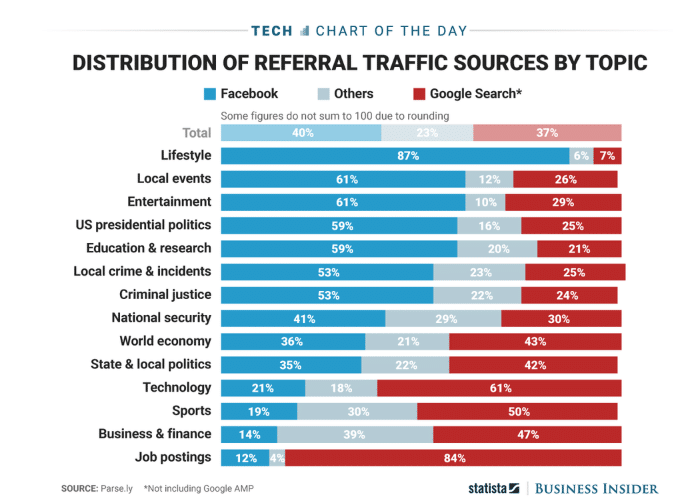 According to Business Insider, the distribution of traffic from Google and Facebook show that educational content is searched more often on Google than on social media – like Facebook. As you can see from the topics – business, finance, jobs, tech – those topics are educational in nature. People want to know about budgeting or know about where to find work at home mom jobs or what the best automation tool is. And those people use Google over Facebook. Since that report is a few years old, I would also venture that Pinterest – also a search engine – would be a good platform for users to search how to content. And for Pinterest – most are women who use this platform and a good portion are also moms. 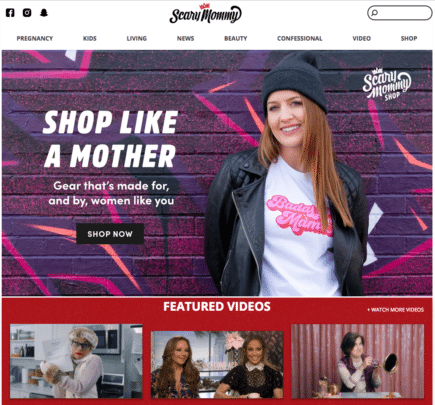 This can tell you that parenting content, motherhood content, marriage/relationship content, and other lifestyle topics will do well on this visual search engine platform. People who visit blogs do so to help them overcome some sort of problem or challenge. This is the nature of having educational content on your blog. While there are blogs that are more entertainment based, to build a community and tribe of loyal readers, you want to help them. This means less writer-centric blog posts and more reader-centric blog posts. Let’s go more into detail about these types of educational blog posts. How To blog posts focus on one thing and break down that one thing into steps, tips or hacks. This is usually a “thing” that many people are struggling with like how to make baby sleep through the night. As you can see, around 1,600 people search for this how to topic each month. This is something you wouldn’t see all around Facebook or Twitter or LinkedIn. So, if you are interested in SEO – search engine optimization – a way to start ranking in Google, is to provide educational how to content. A tutorial based post can also be a how to blog post, but typically a tutorial shows you a process of doing something step-by-step. With this type of blog post, you will also see a lot of images or videos to help the reader understand what is going on. 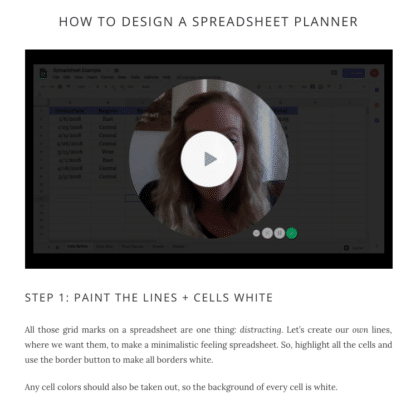 For example, Hayley over at Organized Blogging has a tutorial on how to design a spreadsheet with a video and steps. When you show your audience how to do something, you build more trust and credibility. Now, you don’t have to do a tutorial on something tech-related. Many craft bloggers and food bloggers use video and images to show how to make glycerine soap or how to make chickpea burgers. The idea is finding out what your audience is struggling with and providing a solution with a tutorial-based post. The ultimate guide or resource is the pillar type of blog post all those bloggers tell new bloggers to write as their first blog post. Personally, I feel that’s not the best use of time for a new blogger. It took me, probably, two years to feel confident and have the knowledge to write my first ultimate guide. And I’m glad it took me that long. 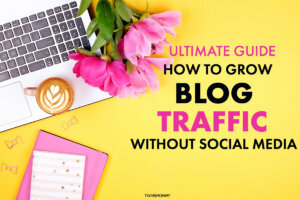 I learned valuable tactics for blogging during that time like focussing on networking, guest posting and doing other ways to increase blog traffic to my blog. I suggest you blog for a month or a few months before you write an ultimate guide. Ultimate guides are posts that encompass a whole process for a tactic or more than one tactic. It’s an all-in-one blog post that covers….everything. For example, my blog post on how to start a blog is an ultimate guide as well as what to do after you start your blog. I share with you what you need to know to get started blogging….for free. Resource posts don’t have to be as massive, but they are highly resourceful. New bloggers can attempt resource posts, and many are a round up of helpful tips or resources like other blogs, bloggers, tools etc.. When I first started Twins Mommy, I wrote several resource posts like sites that pay $100 or 22 freelance services stay at home moms can start offering. Inspirational content is something a lot of successful bloggers tell you NOT to write about. And I agree, to a point. Why do we tell new bloggers not to write inspirational content? Because it is harder to monetize. But, you can inspire people and still provide value with educational content. Some sites, though, are exclusively inspirational. These types of sites are more visual (think beauty or clothes) in nature, and they spark an emotional trigger in their readers. They also fulfill a need for their readers through powerful story-telling. But, inspirational content can also just be a roundup of beautiful things. Here’s an example of a pin about the experiences you should do in Bali. Can inspirational content be popular? Zen Habits is an inspirational blog and it gets over a million visitors a month! Zen Habits is an inspirational blog with a huge following. It is possible to grow an inspirational blog and monetize it. But, initially, it may be difficult to get off the ground. Zen Habits has been around for many years and was voted in Time magazine as one of the top blogs in 2010. That type of recognition can propel your blog like nothing can! So, I always tell new bloggers that it is easier to blog more educational content than inspirational content. For example, many new bloggers might write a post about their outfit of the day. It’s inspirational, and some people will want to see what you wore for the day – but, on Instagram….not really on your blog. On your blog, you can instead write an educational blog post like, 5 Ways to Wear Distressed Jeans. Curated content is content that isn’t yours – you just curated it. 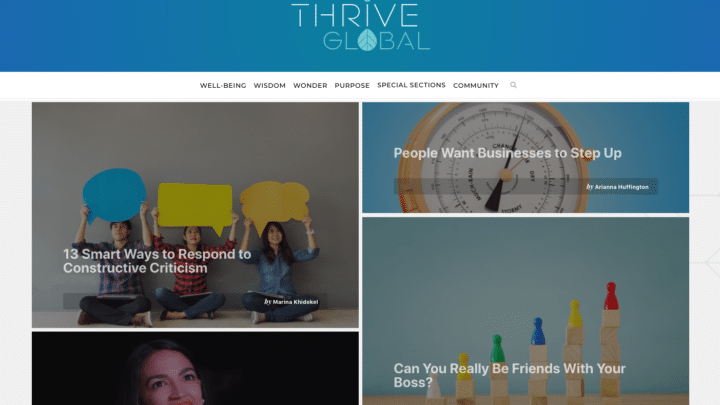 So, these are mostly list types of posts or stories from other bloggers and many huge sites like Huffington Post or Thrive Global have curated content. Writing a blog as other stories is time-consuming if you do it alone. Most of these huge curated content blogs publish hundreds of blog posts a day. For the average blogger, the closest to having a curated blog is a contributor blog. I have two contributor blogs, and bloggers pitch their blog post ideas, and if accepted, their post is published on my contributor blog. This type of blog is also great if you don’t know what to blog about. Having others create content for your blog to share is perfect when you haven’t blogged for months! When starting a curated/contributor blog, you can have multiple topics or focus on a few core topics. 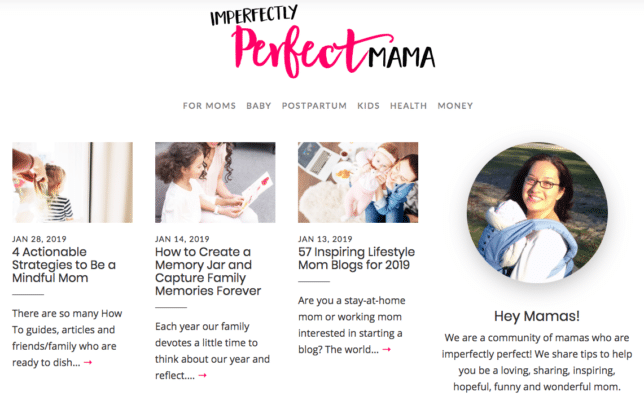 For Imperfectly Perfect Mama, my focus is on mothers, kids, health, and money. 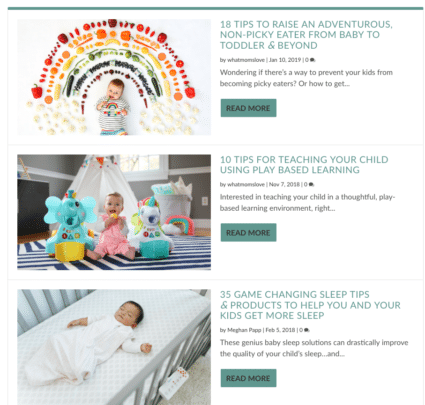 A curated site like Scary Mommy focusses on mothers and kids but also lifestyle and beauty. Aside from educational content, you should also have income generating blog posts. These are blog posts that help you make money blogging. 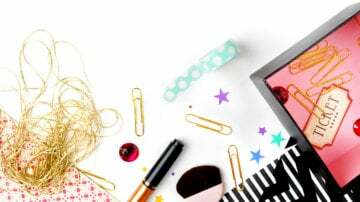 Again, if you are new and don’t know how to write a blog, I suggest you don’t start writing blog posts for your affiliate products or sponsored content right away. Get the hang of blogging for a while before you sign up to be an Amazon affiliate and then have a plan to write that income generating blog post. While it’s perfectly fine to write a blog post for an affiliate product in your first month, you may only make a few pennies or dollars. Another way to create an income generating post is by promoting your products! Maybe eight months into blogging you decide to write an eBook. Congrats! You can easily promote your new eBook on EVERY BLOG POST! Yes. If your blog content aligns with your eBook topic, you can add an image of your eBook and link it to your sales page at the end of your blog post. I still do this for my two main blogs! 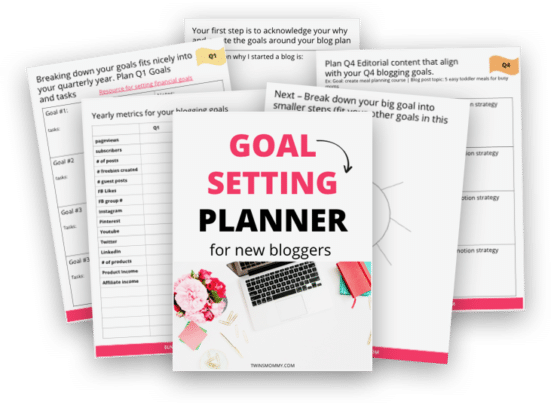 And to help you create those goals and smash those goals, so you are creating products by the end of the year, make sure to pick up my FREE Goal Setting Planner! You also don’t need to make every blog post a review of a product or tool you’re an affiliate for. Remember, your blog is for your audience first! You are helping them with their problems, and they probably don’t want to read reviews of a new cooking tool every time they land on your blog. That’s why I like placing a promotional image of my course at the bottom of my blog posts. I give my readers valuable content and at the end, if they are “sold” they will click on through to see if that course is for them. The other type of blog post you should have on your blog is SEO (Search Engine Optimization) generated content. These are blog posts that are written to help rank in Google. And I honestly feel that SEO should be focussed on in year two of your blog. 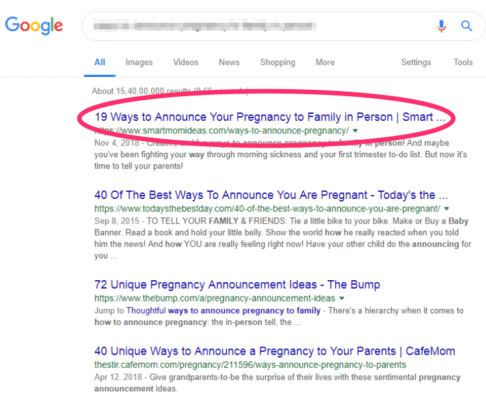 While I had blog posts rank in Google from some of my first blog posts ever written on Twins Mommy, I didn’t write those with the intention of ranking in Google. I wrote that for my audience. And that, my blogging friend, is how you approach Search Engine Optimization (SEO). After that year, you can go back to your old blog posts and then optimize them for SEO! So, there’s no loss there! And that strategy of focussing on my readers instead of ranking, ultimately helped me rank in Google. For one of my blogs, Google traffic is over 70% of my traffic source. Google traffic is over 70% of my traffic source. 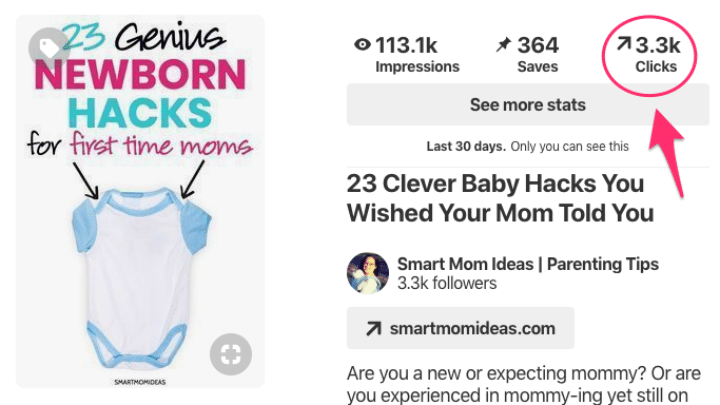 And for Smart Mom Ideas, which is a new site (almost two years old), I have several posts ranking on page one and one post ranking #1 for a search term that gets 1,300 searches a month! Ranking #1 for a new blog. 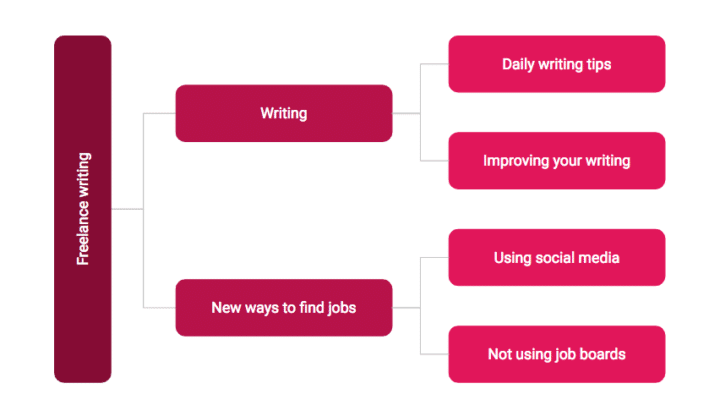 So, how do you write SEO content? First, you need to know what to blog about, and you need to know what keywords you want to rank for. These keywords are usually longtail, meaning they are a string of words that make it easier to rank for. The keyword also has to be highly searched but not competitive. And you can find out this information by using a tool like Keywords Everywhere. It’s a Chrome Extension, and once you enable it, it is on every time you search in Google. It will tell you how many times that keyword was searched and the competition. It will also give you more longtail keyword ideas. Once you find a keyword that you can rank for, you can use that in your blog post. I would use that keyword in the title and peppered throughout your blog post like your subheadings, bullet lists, and in your paragraphs. Not every blog post that you optimize with keywords will rank. There are other factors to ranking in Google that I feel is a much more reliable tactic than using keywords. Later in the post, I dive deeper into using this tool to figure out what sort of things to write about. There are thousands of blogs being created every day, and there are millions of blogs already in existence. This means, what has been said, has already been said! And, the only new information there is online, is personal information. So, when you can provide a truly unique blog post on how to do something, that piece of content will get noticed and shared. It can even become viral. If you feel you can’t think of anything truly unique, another approach to unique content is by infusing your personality, your stories and your voice to your writing. As a freelance writer, I write about digital marketing content for the B2B space (other business owners). Many of my clients want me to write about Pinterest marketing. So, I’ve had to write about the same topic several times. But, all my posts are unique because each is different, infused with my personal strategies I use for Pinterest, and each with slightly different angles. What do you blog about, then? The topics aren’t important to unique content – it’s how you write them. Melyssa Griffin was one of the first bloggers I followed, and I loved her writing voice and how she explained things so easily. And I hear from my followers similar things, which I’m humbled by! So, with every blog post, see if you can tell a story and show your personality. Maybe you’re funny, witty, cheeky, matter-of-fact etc… Find your voice and cultivate it on your blog. A perk of carving your unique space online is that you will get noticed. Brian Dean of Backlinko was one of the first bloggers to delve into SEO, and he wrote a ton of unique content that is now commonplace and the norm in learning about SEO. Or take Emilie of Puttylike. 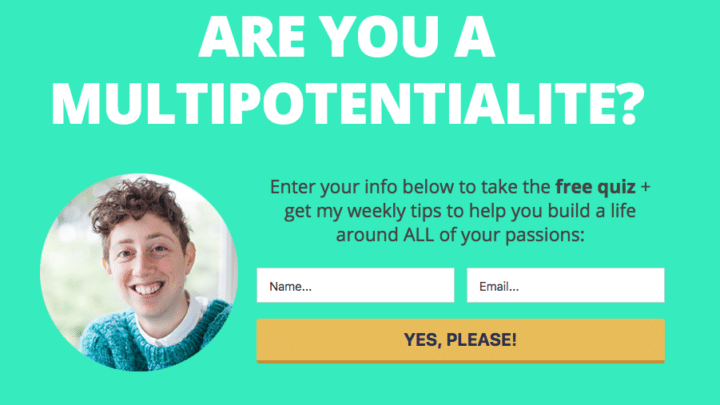 Her entire blog is carved from one unique idea – being a multipotentialite. This idea even helped her be a Ted Talker too! So, you can be the trailblazer out there, or you can still be unique with your content by infusing your personality and sharing your stories. How to write a blog post means you also need to know how to organize your blog posts. With a blog that makes money, you bet there is a content plan in place. This is a plan that is laid out over a quarter, half a year or up to a year! Whatever floats your boat! 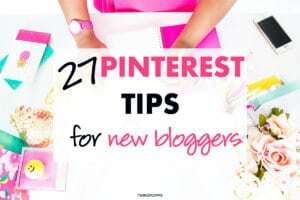 Personally, I go by quarters as new things may spring up (like new Pinterest tips) as the year progresses. An editorial process is something many successful bloggers use. It’s a consistent process that’s backed by research and planning. There are many tools you can use to plan out your content. You can use a free version like Google Docs to map out your blog post ideas. Or you can try these other three ideas! I love my bullet journal. It sits on my desk and I use it every day. What I like about it is that I can be as creative as I want and for me, that’s important. I tend to write all over the place and it’s nice that my blog ideas are all in one place. My bullet journal has a section for my blog content. I like to use post-it notes too for each of my blogs. Blogger friend, Meera, has an amazing content plan. You can schedule a year’s worth of content in only one hour! How great is that! Not only that, but she also gives you copywriting advice on how to create content that sells! She’s a course student of mine so I know she is the real deal here! If you don’t like the mess from notebooks and journals, why not use a digital planner instead? It’s mess free and it’s highly organized! 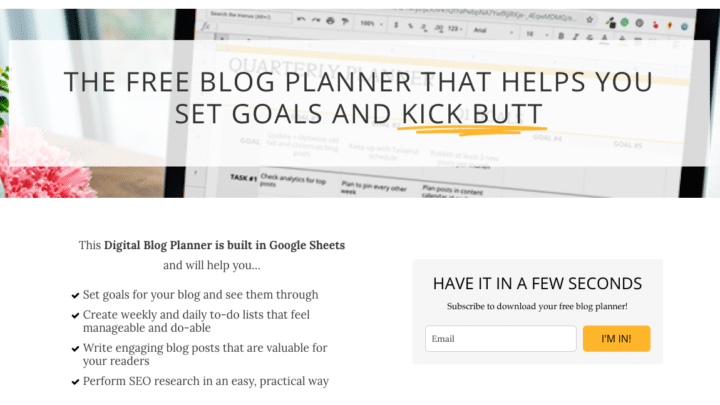 Hayley of Organized Blogging, has a free digital planner you can try out. 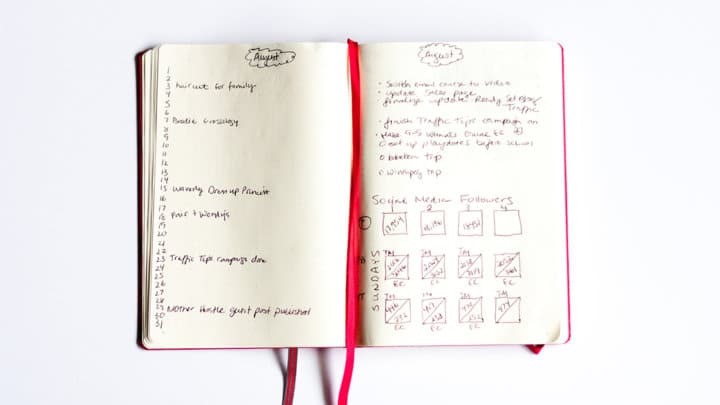 Her planner can help you set goals, create your weekly to-do list and help you with keeping track of your SEO research. With these tools on hand, you can create your own content plan. With every blog post you write, ask yourself – will this blog post help my audience? If the answer is yes, then continue with that blog post idea! If you don’t know if what you will write will ultimately help your audience, you need to practice social listening. This means going to Facebook groups and seeing what your core audience is sharing or talking about. In my group Mom to Mompreneur, many new mom bloggers share their challenges with growing their blog traffic or making money blogging. This can help me figure out exactly the right type of blog posts to write for my audience. Serving your audience also doesn’t mean giving away everything for free. It means really helping your audience in as many ways as you can provide. 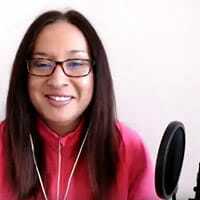 I do Facebook Lives and then upload those lives to YouTube as a way to reach a broader audience, but to also show my audience tactics to help them be a better blogger. If doing Facebook Lives seem too overwhelming, that’s fine – there are other ways to serve your audience. One way is by starting an email list and creating resource guides or incentives. 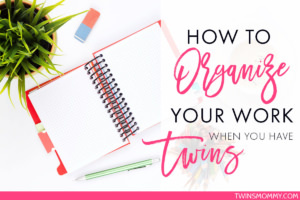 When I first started my email list for Twins Mommy, my first “freebie” incentive to get people to sign up to my email list was a blog post checklist. I created that in Google Docs, downloaded it, uploaded it to my WordPress media library and then set it up in my ConvertKit email. If you need help with finding the right freebie idea, check out my ultimate guide and here’s my video on using ConvertKit to create a form to place on your blog. By starting an email list and creating incentives for your audience, you are serving them valuable information to help them trust you. When your audience trusts you, they open up and share their stories with you. This can help you serve your audience even more! As a new blogger it’s important to show people who you are. This may be hard at first, but it’s important to help you eventually make money with your blog. Inspirational blog posts and unique blog posts are a great way to show people who you are. For example, on Twins Mommy, I shared a blog post about how the kindergarten drop-0ff for me was a horrible experience. I shared my struggles with dropping off my twins at school. But, I also made sure to provide value in my blog posts and to remember to serve my audience. So, I also offered tips and advice in my blog post while sharing what worked and didn’t work during that process. I only have a handful of inspirational blog posts on Twins Mommy, but over on my freelance writing blog, I try to weave my story about to show people who I am. While it’s important to show who you are, you don’t have to reveal everything about you. My newest blog, Lifestyle Body doesn’t share that much information about me – the blog owner. The most information about me is on the About page. I am finding it harder to grow this blog because of this lack of personal information. But, that’s the nature of niche sites. Over time, I will share more of my personal story on this blog in hopes of increasing traffic. But, for now, that’s okay. And if you are hesitant in sharing a lot of information about you – that’s fine. Do what’s comfortable for you. Some bloggers avoid sharing their face, while others don’t show their children and still others don’t mention much of anything about their family. Okay – let’s switch gears to looking at what to blog about. We spent some time on different types of blog posts, as well as, features your blog content should have like serving your audience. Now, let’s dive deep into finding out blog topics and look at different blog niches. Fundamentally, understanding your audience is what will help you figure out your blog post topics. So, you know the types of posts to write, the purpose of your posts and how to offer insane amounts of value, but do you know your audience? To niche down your audience avatar start thinking about who you identify the most with. You can also find your audience by looking at you. You can be the target audience for your blog! I’m a mom to twins that works from home, so when I started Twins Mommy, I blogged to other work at home moms with small children. Finally, you can niche your audience to a less experienced YOU. This means if you already know how to knit wonderful scarves and hats, your blog can teach brand new knitters how to knit basic patterns. Usually this “beginner audience” is the BEST type of audience to have since you are always one step ahead of your audience and you have the foresight of what your audience will need to succeed. Do you need to niche your audience in the beginning? You don’t have to. For one of my blogs, it took me a year to really niche my audience avatar to pregnant and postpartum moms. So, I’m blogging to pregnant moms or brand new moms with newborns. I do occasionally blog to moms with toddlers, but it’s not my sole focus. Once you figure out your audience, what to blog about becomes easier. Let’s go through how I figure out blog topics for my blogs. The easiest way to ensure that you will start increasing blog traffic and gaining a regular readership is to begin writing what is already popular. Now, you might think – well, there are already blog posts about these topics, why add to this? That’s true, but you have to think, if it’s popular, it can be replicated and done even better. Remember, when you write blog posts that others have already blogged about, your personality will make it unique. 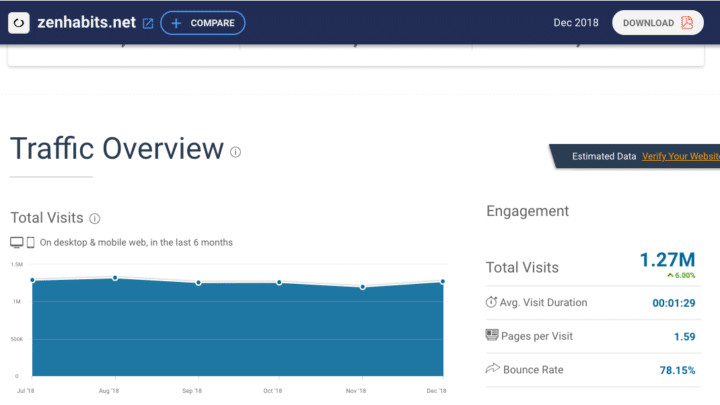 Buzzsumo shows popular posts based on the number of social media shares. 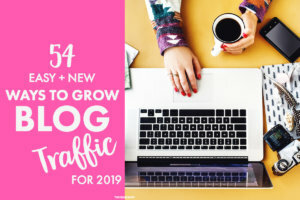 This is a great way to see if your blog idea is popular on social media since new bloggers will rely heavily on social media to start growing their blog. 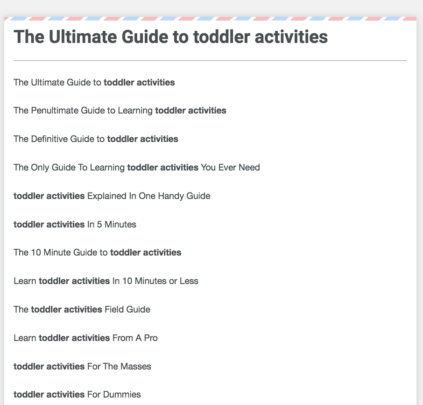 So, if you are a mom blogger and you want to blog to other moms with toddler children, you might want to write a post on various toddler activities since this is a challenge for you. Your toddler needs to be busy, but you also need to have mom time or do other things. You know that if you are struggling with keeping your kid busy, other moms similar to you are having the same problem. 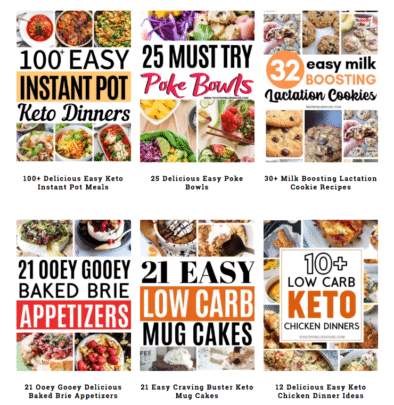 So, from looking at this list, you can see that these ideas do well on Pinterest. You can also see that each of these posts ultimately talk about the same blogging idea: toddler activities, but their personality and their angle makes it unique. One post offers activities without screens while another one offers more energizing activities to tire out your toddler before bedtime. So, for you, you can write a blog post on this based on your personal experience. Maybe you want to focus on indoor activities, or you can change it up and focus on activities you can do with your child. Take some time to think about different ideas, and you know what? Each of those ideas can eventually be another blog post. 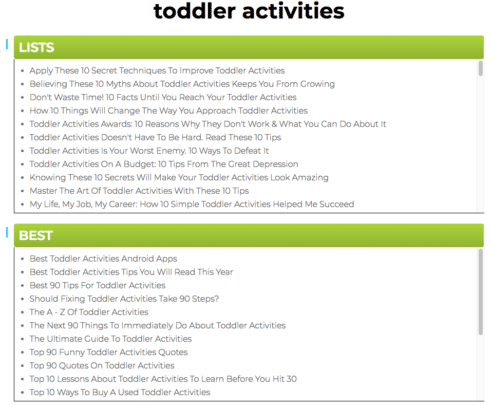 It’s okay to have multiple blog posts around a central theme like toddler activities. Google Trends looks at what is trending on Google. This can help you with the first steps of SEO (search engine optimization). This also enables you to see what blog topics are on an upward trend or downward trend. You can also compare topics to see if one is more popular than the other. For example, if you decide to start a blog and focus on more healthy living tips for pregnant moms, you might notice the media talk more about poke bowls and where to find poke bowls near you. 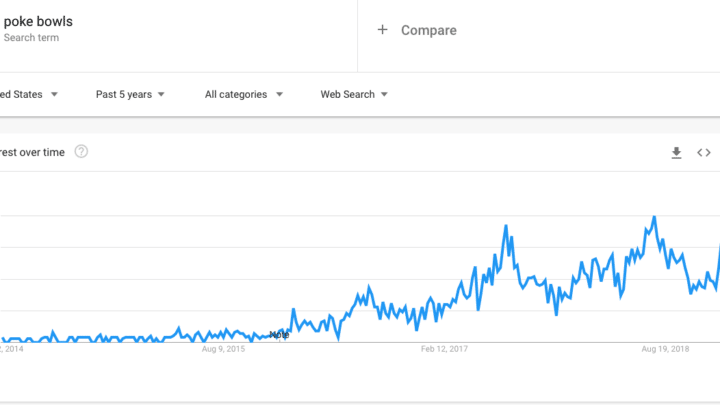 You can go to Google Trends to see if this is something new, old or emerging. As you can see, over the past 5 years, Poke Bowls is an emerging trend. This idea may be a good topic to write about. 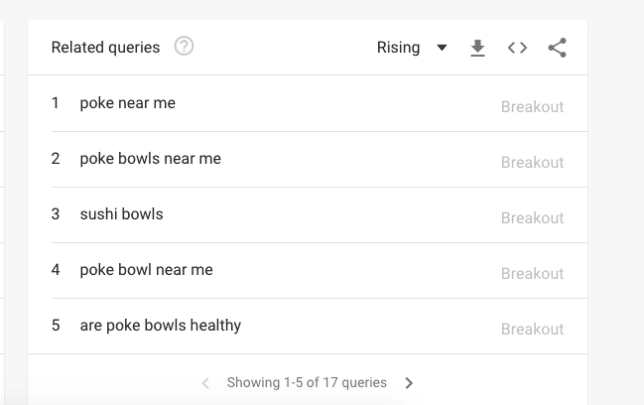 On that results page, if you scroll down, you can see related terms of poke bowls. This can give you ideas on more blog topics or help you add more relevant terms in your poke bowls blog post. Pinterest is my favorite way to find blog topics. Because I know my target audience for most of my blogs is using Pinterest. I also know that it’s an easier way for a new blogger to start gaining traction with their blog posts. I’m using Pinterest for my newest health blog, and it’s helping me get clicks to my new blog! Some of my new pins are bringing back hundreds of clicks to my blog. To help you achieve the same result, you can start searching on Pinterest for some blog ideas. For example, maybe you want to start a knitting blog. Knitting on Pinterest is a hot topic. There are beautiful knitting patterns and a lot of ideas that you can write about. 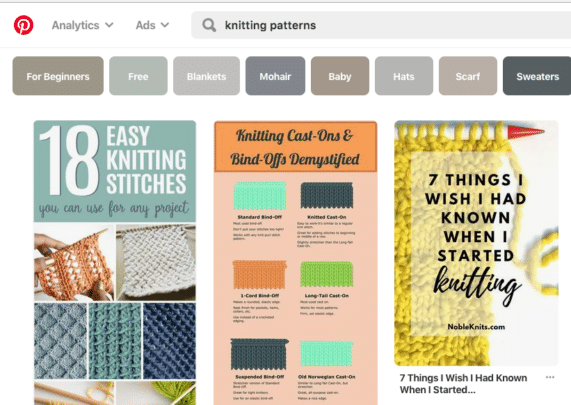 You can even dive deeper by clicking on one of the tiles underneath your search term to get more ideas on what kinds of things people want to know about knitting. It seems there is educational content to help new knitters understand knitting terms as well as inspirational content of showing knitters various patterns they can start using. 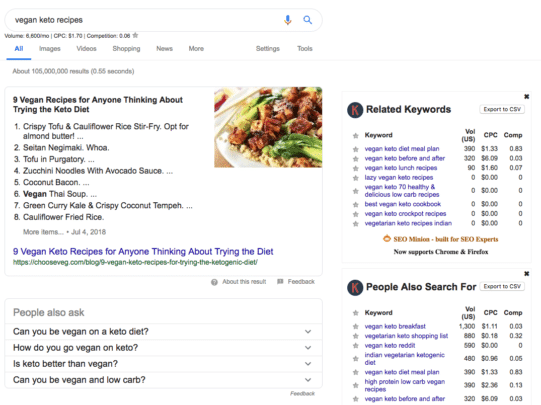 If you are interested in writing more SEO generated content, then using a free SEO tool like Keywords Everywhere can help you fine-tune your strategy. This tool was mentioned earlier in the post! 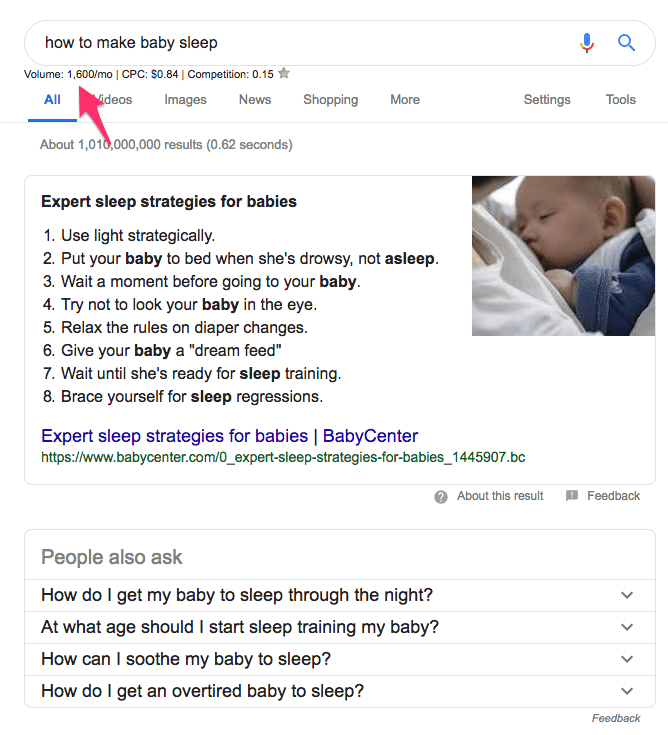 Once installed, you can search on Google as you usually would, but Keywords Everywhere will provide you with more information about what you are typing. It will tell you the monthly searches, competition number, and related key terms. 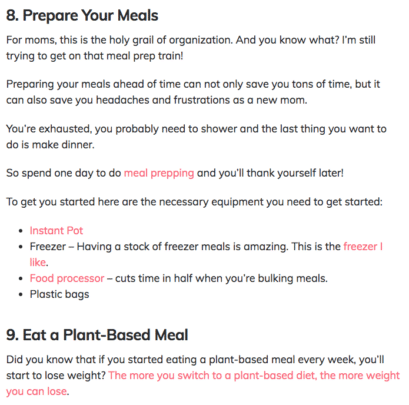 So, for your mom blog, you also want to provide help on productivity. You know that before you did some hacks or tried some tools, your productivity was all over the place. You know that your audience probably is at that beginner stage like you (but you solved it). 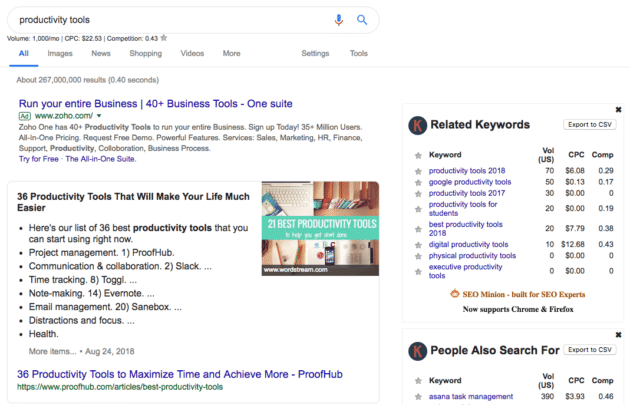 So you go to Google and type in “productivity.” Google gives you a dropdown menu of more options and one keyword sticks out – productivity tools. You like this term because it was a tool that helped you increase your productivity. This search term gets 1,000 searches a month, and the competition is 0.43. On the side of your results Keywords Everywhere also gives you related keywords. This is where you can optimize your content more by placing these related terms in your blog post. 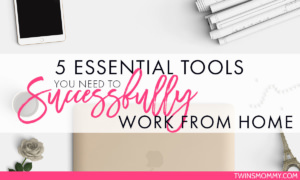 So, you do some research and see that most of the posts are round ups (list posts) so this tells you that people want a list post of different productivity tools rather than a post on one productivity tool. 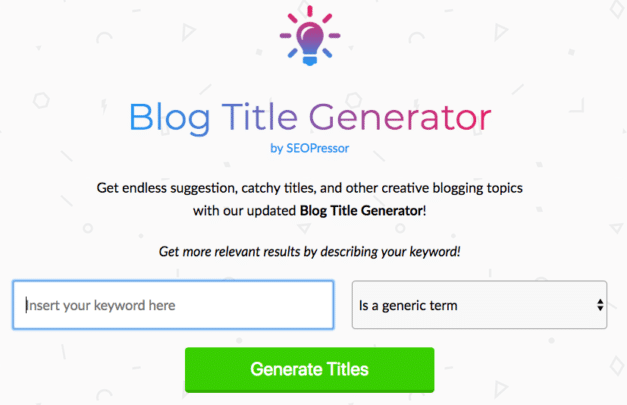 Blog topic generators are a quick way to figure out what to blog about. I sometimes use them if I’m stumped or are in a creative slump. Many of them give you headline ideas, but this can at least jumpstart the process of figuring out topics for my blog. Here are my top 3 favorite. This is an easy tool to use. Simply type in your keyword or blog idea and pick a type (like – is it a person, event, brand etc..) and click on the green button. What’s great about SEOPressor is that many of the results make sense as well as they provide some great tips to help you improve your blog content. If anything, you will see the potential of different angles to write about the same topic. 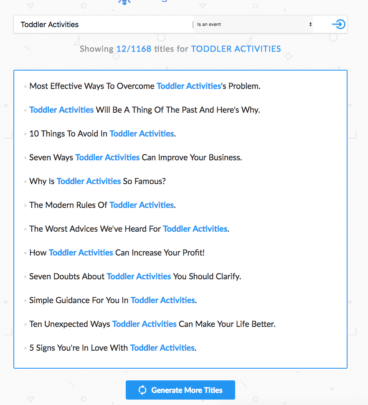 By far, this tool gives you hundreds of different headlines and blogging ideas in different categories (like list, love, how to, question etc…). I feel this blog topic tool is one of the best as it was designed by a copywriter and the results are framed as popular types of content. Okay, let’s dive deeper into the type of blog niche your blog will be. How do you figure out what to write about if you have a lifestyle blog or a niche blog? Lifestyle blogs are blogs that are multi-topic and that showcase lifestyle living. This can be home decor, food, travel, beauty, mom life etc.. I classify my blog, Smart Mom Ideas, as a lifestyle blog. While I do cater my blog to pregnant and postpartum moms, I do have lifestyle topics like food, money, and mom life. 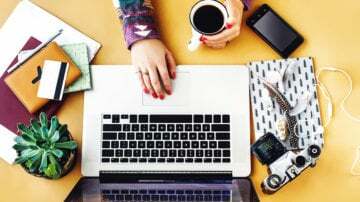 So how do you write a blog on lifestyle topics? 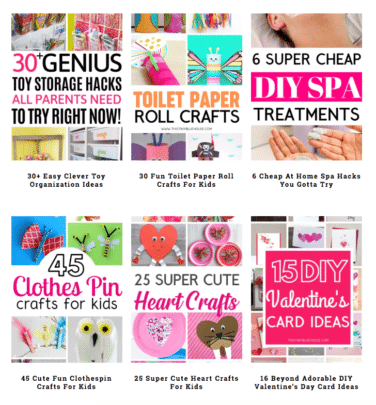 What I did with Smart Mom Ideas, was create a blog traffic recipe first. I decided I wanted to exclusively promote my content on Pinterest and create high-viral content. What this meant was creating list posts. But, not just any list type of posts – big list posts. And, to this day, my top 10 posts are all list posts. So, as a new blogger, you can aim for this blog traffic goal by deciding only to write list posts. This is more tedious to accomplish because of the initial research and information gathering, but it pays off in the long run with traffic. Pin generating thousands of clicks based on a list post. So, what are the steps to creating high-viral content? 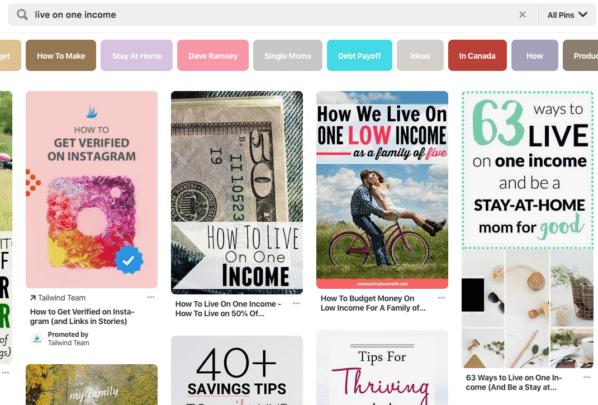 Based on your niche, use Pinterest to find popular topics. You will know they are popular when you see a lot of results as well as seeing the pins of big bloggers you know of. You also notice that your post can get an upper edge if you do a big list post and include the URLs of the top pins for living on one income in your blog post. This can help your post by providing the best information out there on living on one income. One of the first high-viral posts on Smart Mom Ideas was 63 Ways to Live on One Income and be a Stay at Home Mom. It’s a long-form post, and it did well. For list posts, you need to research and gather up all the things you want to blog about. This can take days or more depending on if you’re going to use the images of other bloggers. For example, if you want to round up dinner recipes and feature a blogger’s recipe image, you have to get permission from that blogger to use THEIR image on YOUR blog. You can get around this by using the PIN of that blog post in your blog post. This is what I do. But I have asked permission to use images or quotes for two of my posts and this can take up to a month or more to get permission. There are different ways to write a list post. One way is to list all the things on the list! 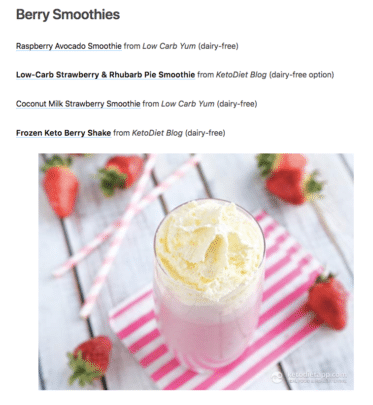 This is what Martina does for her blog post on Keto Smoothie Recipes. You can also provide the image for each list item (if you got permission) and then just add the link to the item. Or, you can list the item and write a blurb about each item. I feel this is the best way as you are creating long form content that way. Many blogs use this method of creating high-viral list posts. What Moms Love initially pumped out mega-list posts and still does, but they also provide other types of content besides list posts. This Tiny Blue House makes wonderful list posts that are viral and I always get inspiration from her frugal living blog! I love Jenny’s blog so much because it is purely a list post blog. I’m amazed by her level of dedication to providing huge list posts in different lifestyle categories. With a lifestyle blog, you can use this method of blogging ideas to help you grow website traffic and then when you reach 25,000 sessions, you can apply to Meadiavine. This is an ad publishing platform. This is what I do for Smart Mom Ideas to make money. What if you have a niche blog? What do you blog about? Niche blogs are fun and I love niche blogs. Niche blogs focus on a core topic and core audience. 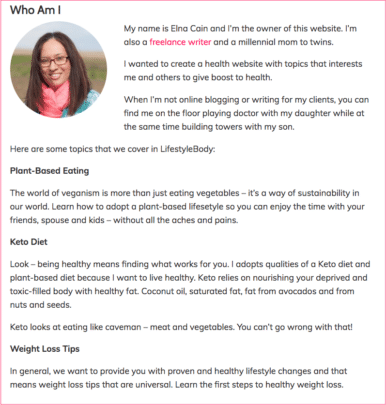 For example, my Elna Cain blog focusses on freelance writing for freelance writers! Twins Mommy is more a demographic niche as I niche my audience but I do write more blog traffic tips than anything else. A niche blog is harder to write because it IS niched down. Around year two of starting my freelance writing blog, I had a hard time coming up with new and exciting topics about freelance writing. This meant I didn’t write often. I only wrote once a month – if that. I would then break down each topic into more mini-topics. When I did this, I suddenly had a million blogging ideas to write about! So, for a niche blog, think of the big topic or topics and break that down into several types of blog post ideas. This is the easiest way to come up with topics for a niche site. You can dive deeper into this process, by writing top level blog posts and focussing on one topic blog posts. So, on my Elna Cain site, I have many top level blog posts where I give an overview of a certain idea. 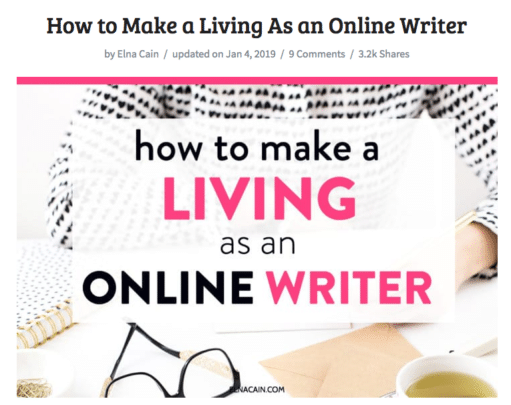 For example, how to make a living as an online writer. I consider these types of posts more ultimate guides and are a type of pillar post. But again, I didn’t write these in year one. I started in year two and three. Another way to look at what to blog about is to provide an in-depth blog post on one main topic. This type of blog post is usually framed as a How To. You break one idea down into easy to implement action steps. 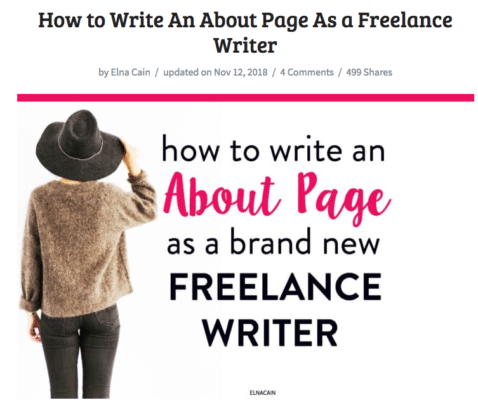 I did that for my post on how to create an About page. This gives you more leeway in creating many types of blog posts around a main topic and can extend the life of a niche blog. 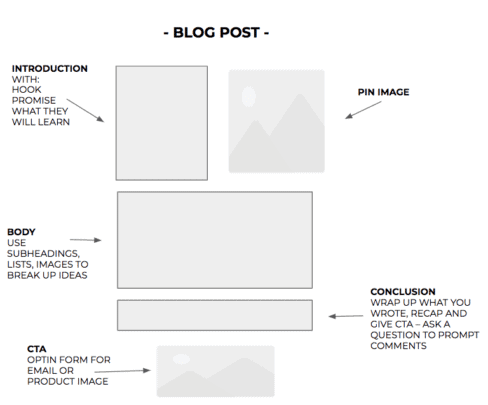 Okay – the final part of this guide is on how to write a blog post. You have the ideas, you have the types of posts that do well, and you even know the steps in creating this type of content, but how to do you write that post? There are many different methods used to write a blog post. Your introduction is probably one of the most critical parts of your blog post (aside from your headline). This is what will hold a reader’s attention and help them decide if this is the blog post for them. To help readers figure that out, you need to get in the head of your readers and have them nod along with your writing. Yes! That’s right! I do have that! This is what I’m missing! You can start generating this “yes” mode in your readers by telling a story or asking a question. Your introduction should also present the blog post idea, the challenge and what the solution is (i.e. what your blog post is about). The body of your post is where you answer your readers’ questions and help them through a problem or challenge. You organize your body with subheadings, images and bullet lists. This breaks up your text and makes it easier to read. It’s a good idea to provide examples in the body of your blog post. So, instead of telling your readers about something, show them with an image or video. As a freelance writer, I get paid to write a complete blog post. And that means having a conclusion paragraph. Now, I know some bloggers don’t do this, but it’s more content that Google likes and it makes your blog post more complete! In your conclusion you can wrap up what you talked about and add a CTA – call to action. This is something you want your readers to do. For my conclusions, I usually ask a question as a way to start the conversations in the comments. You can have more than one CTA for your blog post. For this CTA you can have an opt-in form to grow your email list or a link or image to a product you have. As a new blogger you may not have these yet so asking a question or having social sharing buttons at the bottom of your post is fine. For example, for Smart Mom Ideas, I don’t have an email list or products. So I just put another pin image and my social share buttons. We looked at a breakdown on how to write a blog post and what to blog about as a new blogger. One thing to remember is that many of these tactics can be incorporated later in your blogging life. I want you to know that as a new blogger, focus on your audience and niching that audience before you figure out your blog topics. Understanding the type of blog niche you have can help as well as finding the perfect blog name can help you identify with your audience. If you haven’t started a blog yet, make sure to check out my handy step-by-step tutorial on how to start a blog. Over to you – was this helpful? Did this help you figure out what your blog will be about? If you already have a blog, tell me what your niche is! Please remember to pin me! Thank you! Elna, can’t tell you how valuable this post is! I can’t believe I missed it, just stumbled on it right now! You lay everything out, and answered so many of my questions, especially the one about what to blog about when you are a new blogger. So many different views out there on the whole pillar post, which have just made things super confusing for me, as I am beginning. This is such a great framework to reference and you give such clear examples, and stand-by what you say! As always, love love your content! Please continue to think of us new bloggers out there! Lol. Wow thank you so much for your comment! That made my day 🙂 I’m so happy this post resonated with you and gave you some calcification and a sort of roadmap on what to blog about. I know for many new bloggers, figuring out that blog niche and the topics to write about is super hard. I hope this posts helps alleviate that problem! Thanks for stopping by! I have been blogging for years but for fun, and starting to monetize it this year. And your content really help me to understand what to do in details. Hi Elna, thank you so much for your amazing content!! 🙂 I am super excited to get my blog off the ground, and one day being able to do this as my full-time lifestyle. I am not a mum yet, but I want to be a stay at home mum so I am setting myself up now for the future :)… I have a question – what theme do you use from your blogs? I LOVE the layout you use. Thanks so much for stopping by! That’s awesome you want to start a blog and you’re trying to figure out what to blog about for sure!! Thanks so much for your kind words! As for the theme I’m using, it’s customized by my hubby and me! We created it together 🙂 Can’t wait until you write a blog! Yay! It’s a fact that your blog posts are so unique and interesting and I enjoys a lot while reading your posts because you explained your post very deeply in a very easy and clear language. Thanks for your support. That means a lot! Thank you so much! I’m truly humbled by it all and just want to help as many people and writers as possible! Wow Elna, you never cease to amaze me with your awesomeness. So much useful information. I love the blog topic generator, I was wishing there was something like that and there it is. Thank you for such a fabulous post. Aww thank you so much! I’m happy that you took the TIME to read this massive post. I honestly did NOT set out to write that many words on this topic! I guess I’m super passionate!!! Good luck with your blog this year! I just started your Write to 1K course and this is a great supplement. 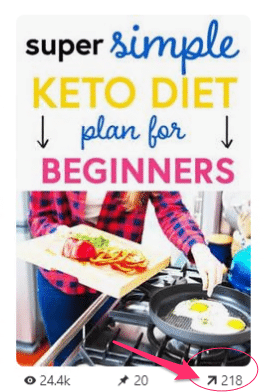 Thanks for being such a helpful resource to those of us just starting! Thanks for being a student and for stopping by! Looks like your Gravatar is working perfectly! This is a goldmine! I’ve learned so much from you & you inspire me so much Elna! Keep up the good work! Do you think it’s better to have a different blog for curated/contributors’ posts? Or is it ok to open my existing blog for contributors? That’s a tough call. If your blog is for brand building too then no. If your blog is just a blog for topics with not a big brand on your story and who you are you, then yeah you can have contributors! Thanks a lot for your time & your feedback! That’s awesome and thanks so much! 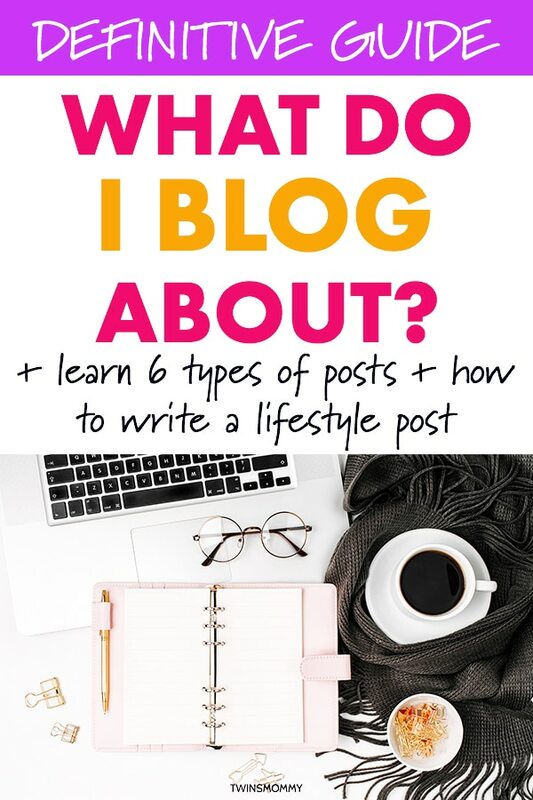 Glad you enjoyed the post on how to write a blog and what to blog about!!!! Thank you so much for sharing this. I am following your blog posts like a step by step manual. Thanks so much mama! So glad you enjoyed this post on how to write a blog and what to blog about! It’s a lot of sure for brand new bloggers. That’s why I wanted to make it a bit easier!